 Viral Tribe Formula provides content and other services through the Site. All information, documents, products and services provided on and through the Site, including content, trademarks, logos, graphics and images (together, the “Materials”) are provided to you by Viral Tribe Formula and are the copyrighted work of Viral Tribe Formula or Viral Tribe Formula’s licensors or contributors. Viral Tribe Formula grants you a limited, personal, non-exclusive and non-transferable license to use the Materials and use the services and the Site solely for your personal use or internal business use. You agree that you will only use this Site and the services for lawful uses. If Viral Tribe Formula becomes aware of any of the foregoing activities, Viral Tribe Formula may investigate and may respond, and when appropriate, Viral Tribe Formula may work with law enforcement authorities in such investigations and for the purpose of prosecuting offenders. Frame or link to the Site or any of the content or information available from the Site, unless Viral Tribe Formula expressly consents to such linking and/or framing. The foregoing list of prohibitions is illustrative and is not intended to be complete or exclusive. Viral Tribe Formula reserves the right to terminate our relationship with you under these Terms and prohibit your access to the Site and/or Services or to edit, remove or close any Submission or thread for any reason. The foregoing prohibitions do not impose on Viral Tribe Formula, and Viral Tribe Formula does not assume, any obligation to monitor or remove any Submissions or other information or communication submitted by you or any other member. You hereby acknowledge and agree that there is the chance that you may be exposed to content that may be offensive or objectionable to you. YOU HEREBY ACKNOWLEDGE AND AGREE THAT ALL SUBMISSIONS SUBMITTED BY YOU OR ANY OTHER MEMBER EXPRESS THE VIEWS OF THE AUTHOR, AND Viral Tribe Formula WILL NOT BE HELD RESPONSIBLE FOR OR LIABLE FOR THE CONTENT IN SUCH SUBMISSIONS. Your access to the Site and Services is undertaken at you own risk and Viral Tribe Formula is not responsible for any offensive or otherwise objectionable materials that may be posted by any third party. Certain areas of the Site are password-restricted to authorized users who become members (“Restricted Areas”) or who purchase upgraded areas of the Site. If you are an authorized member of the Restricted Areas, you are responsible for maintaining the confidentiality of your password and account, and agree to notify Viral Tribe Formula if your password is lost, stolen, or disclosed to an unauthorized third party, or otherwise may have been compromised. You are responsible for activities that occur under your account. You agree to immediately notify Viral Tribe Formula of any unauthorized use of your account or any other breach of security in relation to the Site known to you. You have full access to your training upon the first day of your purchase. You will pay all fees or charges to your account based on Viral Tribe Formula’s fees, charges, and billing terms. You may be required to provide Viral Tribe Formula with a valid credit card as a condition to signing up for an account. You are responsible for paying any taxes that may apply. If you do not pay on time or if Viral Tribe Formula cannot charge you or your credit card for any reason, Viral Tribe Formula reserves the right to either suspend or terminate your access to the Site and/or the services and account and terminate these Terms. If you have a balance due on any account, you agree that Viral Tribe Formula may charge such unpaid fees to your credit card or otherwise bill you for such unpaid fees. If you are unsatisfied with the Services for any reason and notify us during the applicable refund period, Viral Tribe Formula will provide you with a refund. Certain information and content may be provided by third parties to Viral Tribe Formula (“Third Party Content”). The Third Party Content is, in each case, the copyrighted work of the creator/licensor, Viral Tribe Formula. You agree to only display the Third Party Content on your personal computer solely for your personal or internal business use. You acknowledge and agree that you have no right to download, cache, reproduce, modify, display (except as set forth in this paragraph), edit, alter or enhance any of the Third Party Content in any manner. Viral Tribe Formula DISCLAIMS ALL EXPRESS, IMPLIED AND STATUTORY WARRANTIES AND CONDITIONS WITH REGARD TO THIRD PARTY CONTENT, INCLUDING, BUT NOT LIMITED TO, ALL IMPLIED WARRANTIES OF MERCHANTABILITY, FITNESS FOR A PARTICULAR PURPOSE AND NON-INFRINGEMENT. This Site may be linked to other sites that are not Viral Tribe Formula. Viral Tribe Formula is providing these links to you only as a convenience, and Viral Tribe Formula is not responsible for the content or links displayed on such sites. Unauthorized use of any Materials or Third Party Content contained on this Site may violate certain laws and regulations. You shall indemnify and hold Viral Tribe Formula and its officers, directors, employees, affiliates, agents, licensors, and business partners harmless from and against any and all costs, damages, liabilities, and expenses (including attorneys’ fees) that Viral Tribe Formula or any other indemnified party suffers in relation to, arising from, or for the purpose of avoiding, any claim or demand from a third party in the vent that your use of the Site or the use of the Site by any person using your user name and/or password violates any applicable law or regulation, or the rights of any third party. Viral Tribe Formula are trademarks of JUEIM Solutions. in the United States. All other trademarks, names and logos on this Site are the property of their respective owners. Your use of this Site, the materials and/or the services is at your own risk and you assume all risks of using this Site, the materials and/or the services. Neither the materials nor the third party content have been verified or authenticated in whole or in part by Viral Tribe Formula, and they may not be current or may include inaccuracies or typographical errors. Viral Tribe Formula does not warrant the accuracy or timeliness of the materials or the third party content contained on this Site. Viral Tribe Formula shall have no liability for materials and/or third party content that is not current or for any errors or omissions in the materials and/or the third party content, whether provided by Viral Tribe Formula or our licensors. Viral Tribe Formula does not guarantee that you will achieve any economic return or benefit from the use of the materials. Viral Tribe Formula, for itself and its licensors, makes no express, implied or statutory representations, warranties, or guarantees in connection with the Site, the services or any materials or third party content, relating to the quality, suitability, truth, accuracy, currency or completeness of any information or material contained on the Site, including without limitation, the materials and the third party content. Unless otherwise explicitly stated, to the maximum extent permitted by applicable law, the Site, the services, the Materials, third party content, and any information or material contained on the site is provided to you on an “as is,” “as available” and “where-is” basis with no warranty of any kind and Viral Tribe Formula disclaims and excludes any and all implied warranties, including any implied warranty of merchantability, fitness for a particular purpose, or non-infringement of third party rights. Viral Tribe Formula’s AGGREGATE LIABILITY TO YOU OR ANY THIRD PARTY FOR ANY DAMAGES RESULTING FROM YOUR DISPLAYING, COPYING, OR DOWNLOADING ANY MATERIAL ON THE SITE OR RELIANCE ON THE INFORMATION AND/OR MATERIAL PRESENTED ON THE SITE SHALL NOT EXCEED FIFTY DOLLARS ($50.00). IN NO EVENT SHALL Viral Tribe Formula BE LIABLE TO YOU OR ANY THIRD PARTY FOR ANY INDIRECT, EXTRAORDINARY, EXEMPLARY, PUNITIVE, SPECIAL, INCIDENTAL, OR CONSEQUENTIAL DAMAGES (INCLUDING LOSS OF DATA, REVENUE, PROFITS, USE OR OTHER ECONOMIC ADVANTAGE) HOWEVER ARISING, EVEN IF Viral Tribe Formula HAS BEEN ADVISED OF THE POSSIBILITY OF SUCH DAMAGE. Viral Tribe Formula controls and operates this Site from its headquarters in the United States of America and the Materials may not be appropriate or available for use in other locations. If you use this Site outside the United States of America, you are responsible for compliance with all applicable local laws. You will have 7 calendar days from the time you purchase to request a full refund. Cancellation and refund requests must be sent in writing. Send your refund requests to support[at]ViralTribeFormula.online, or submit a ticket using the “support” link within the Viral Tribe Formula interface. If you violate these Terms, Viral Tribe Formula may terminate your access to the Site or Restricted Areas without notice. Viral Tribe Formula prefers to advise you of your inappropriate behavior and recommend any necessary corrective action. However, certain violations of these Terms, as determined by Viral Tribe Formula, will result in immediate termination of your access to the Site or Restricted Areas. Viral Tribe Formula has the right to terminate any password-restricted account for any reason. New Jersey law and controlling U.S. federal law, without regard to the choice or conflicts of law provisions, will govern these Terms. Any disputes relating to these Terms or the Site will be heard in the courts located in New Jersey. If any of these Terms is found to be inconsistent with applicable to law, then such Term shall be interpreted to reflect the intentions of the parties, and no other Terms will be modified. Viral Tribe Formula’s failure to enforce any of these Terms is not a waiver of such Terms. The Terms are the entire agreement between you and Viral Tribe Formula and supersede all prior or contemporaneous agreements and understandings between you and Viral Tribe Formula with respect to the subject matter hereof. These Terms may not be modified except pursuant to a written amendment that is executed by an officer of Viral Tribe Formula.